Wow, lucky me! Two awesome books in a row. Last night I finished Pandemonium by Lauren Oliver. 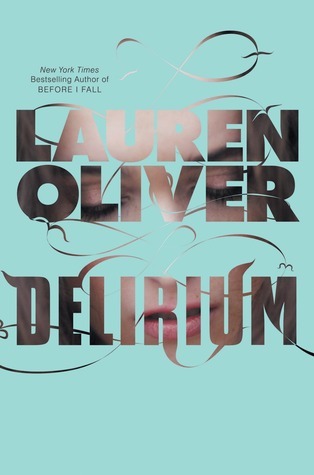 This was the 2nd book I've read by her and while I did like the first (Before I Fall), I equally did like not it but only for selfish, immature reasons. It just didn't go the way I wanted, and I can be a brat like that. However. It was still a poignant, well-written book nonetheless and it deserves any accolades that it received. I hate writing synopsis...what on earth is the plural for synopsis? Anywho...basically it is about a 17 year old girl, Lena, living in a dystopian society (my weak spot, you know) in which all people at the age of 18 are cured of the disease, deliria, aka love. That's all you really need to know. I seriously enjoyed this novel. I have to admit, I was not a fan of Lena's in the beginning. As I've said before, I want a strong, bold, independent female character, especially for young adult lit. Well, I was glad to see that this heroine did eventually redeem herself. In fact, I kinda liked the fact that she started out weak and naive, and throughout the book you get to watch her transformation. Of course, there is a boy, but I was pleased to see that not every decision she made was made for him. Amen, sista. So I would give this one 4 stars. I highly recommend it to those who are fans of dystopian literature, teen lit, or romance. If you liked The Hunger Games, Graceling, or Uglies, then I would think you'd like this one. In fact, I think this book does what Uglies could not. And the reason I really wanted to write this post was because of this quote. You know when you find a quote or a moment in a book you love so much you re-read it like 10 times before moving on, just trying to relive it as much as you can. That was this moment for me. love love love. But I have a secret. You can build walls all the way to the sky and I will find a way to fly above them. You can try to pin me down with a hundred thousand arms, but I will find a way to resist." The 2nd installment of this trilogy, Pandemonium, will be released Feb 28, 2012.